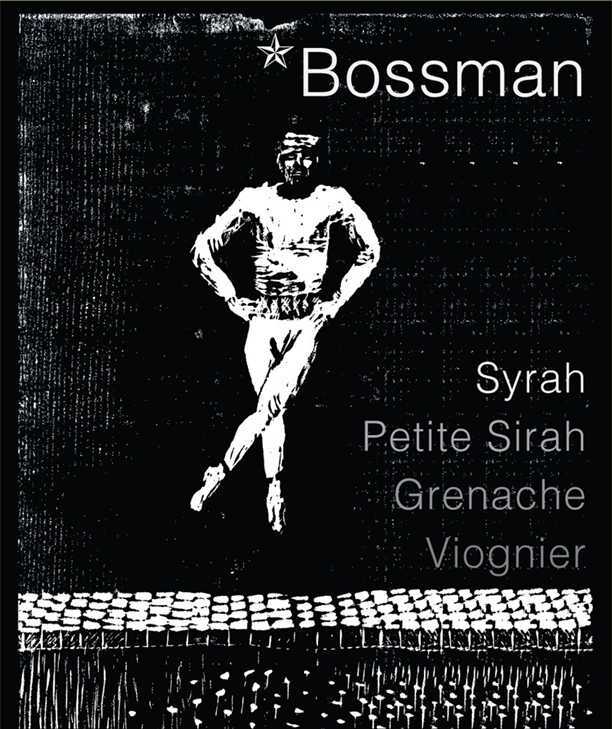 Inaugurated in 2005 and returning as a permanent member of our annual cast of characters, Bossman is composed of those Syrah barrels that embody the spirit of its title. 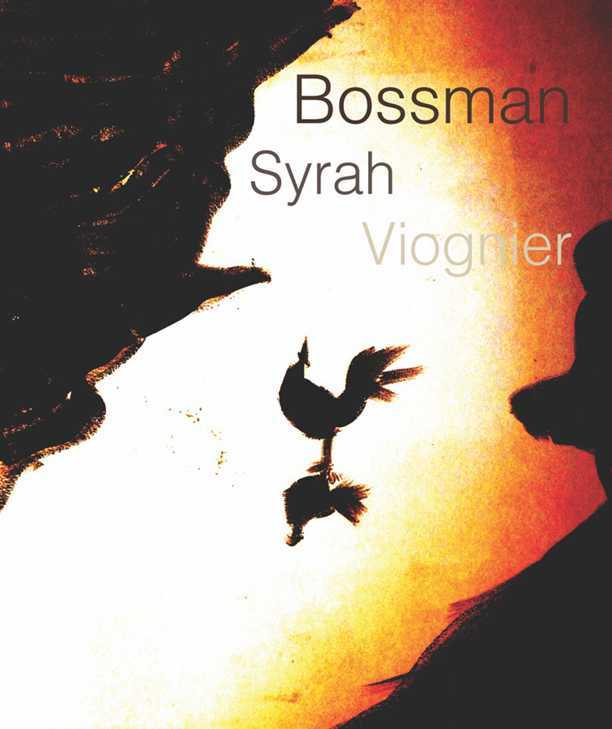 Always a Syrah-focused composition with various supporting components whose ratios change with each vintage to produce consistency of the signature Bossman character – dark, brooding, with an elegant authority and manifest strength. I love the feisty nature of this wine. 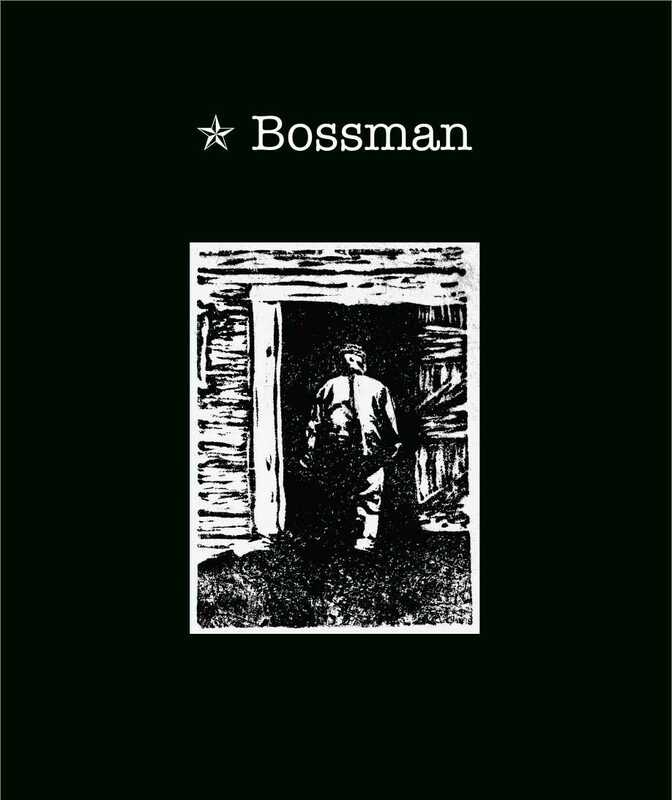 The 2015 Bossman is an assertive yet elegant fella, full of athletic strength and stamina. The natural intensity of the year’s Syrah prompted a generous inclusion of Viognier, a little addition of Grenache, and a higher percentage of whole clusters during fermentation. The combination of these creates a sensational aroma profile that recalls one of coming home to a berry cobbler baking in the oven after a stroll in the dark forest. The Bossman’s fine grippy tannins are in a beautiful equilibrium with his intense volume, and make him the ideal companion for a meal of substance and sophistication. All of the wines from the 2014 vintage possess remarkable elegance. 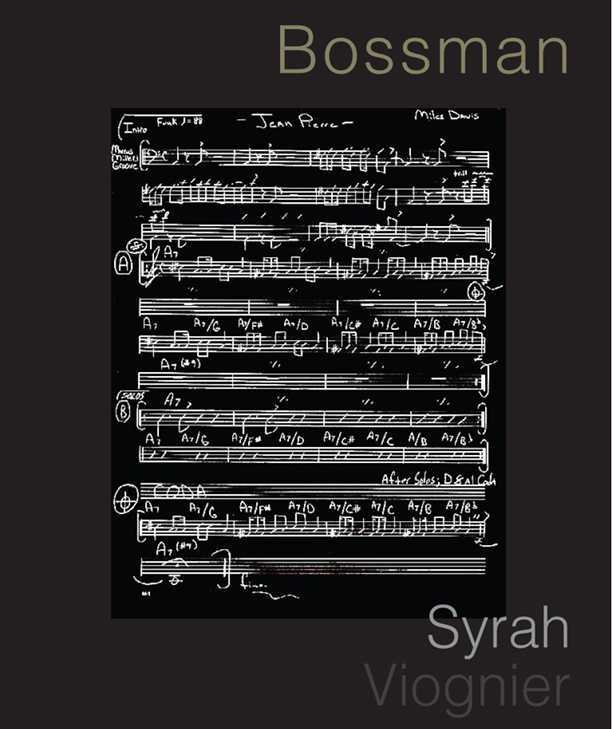 In the case of Bossman, his combines with a core strength that comes from discipline and practice, like Miles Davis’ fearless leadership of his band (and audience) into always new, often risky territory, while brightly and weightlessly soloing over the mysterious landscape he just created. If this 2014 Bossman were a character, it would be Rutger Hauer’s half-naked, rain-soaked, powerfully muscular body, tenderly holding that white dove on the rooftop, filled with fear and shedding a tear lost in the rain, in what is still Ridley Scott’s best. Strength, tension, whimsy, and restraint born from Syrah and Viognier grown in the cool Santa Rita Hills, fermented with 35% whole clusters on native yeasts, followed by partial extended maceration, lees stirring during malo-lactic conversionand, and then raised in large new French Oak barrels for about 26 months. Food: Grilled & smoky, with a fresh component (maybe a little gem salad with dill) to balance the fat / oily components of whatever you’re grilling. An eccentric gentleman, like the men of early car racing – Confidently humble, determined and patient, smart, beautiful (but not in the Hollywood or GQ sort of way), generous…probably in his mid-fifties but not the sort of 50’s that we’d find in a Viagra commercial and also not the Dos Equisman (though I like him very much). As a wine, this just about has it all – a dark brooding core enrobed by bright and vibrant energy and an incredibly generous manner. It is as pure and lively an expression of Syrah as we’ve been able to coax from nature and put in a bottle – beautiful now and promising a long interesting life ahead. Food: A meal of substance and complexity with earthy flavors and some fatty/oily components for the wine to balance. From 1520 to his death in 1566, Suleiman the Magnificent presided over the apex of the Ottoman Empire, and guided it through its golden age of artistic, literary and architectural development. This guy was something: not only did he lead his armies into the fiercest battles personally, expanding the empire west to Austria and east to Algeria, he instituted major changes related to society, education, legislation, taxation and culture, which remained intact for many centuries after his death. Suleiman was also a distinguished poet and goldsmith. 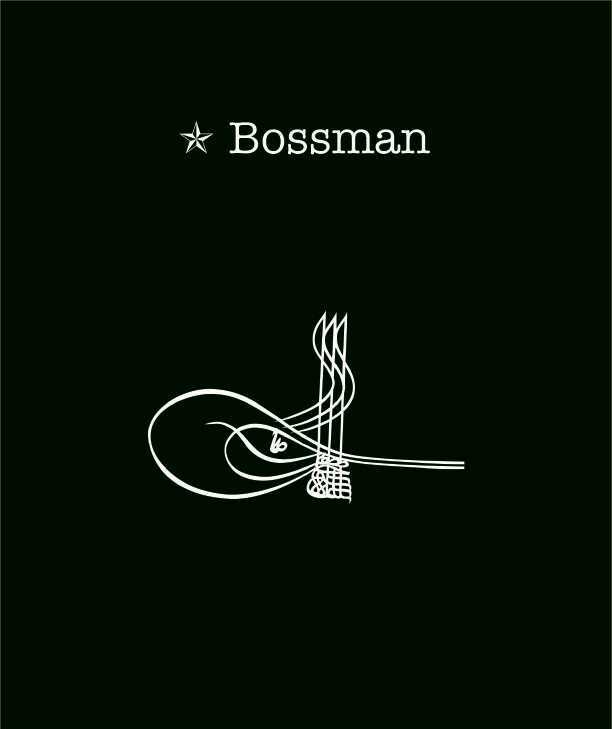 Inspired by this, we borrowed his his insignia, for this 2012 version of Bossman. What is this wine like? The sweet scent of tobacco from the dark-skinned farmer’s pipe mingles with aromas of the freshly turned earth and his horse’s leather harness as he directs his plow with sure-footed stride and arms as strong as the roots of the heavy-laden cherry trees under which he works in silence and thought as the morning dew gives way to the warmth of the rising sun …that’s what this wine is like. General direction for Food that will work well with this bottle: suckling pig, roast duck with prunes and sweet potatoes – anything that involves fatty and caramelized components. Bossman’s tannin structure will balance with these and his lively acidity will slice through them like a Japanese knife. Music that would be a great accompaniment for this bottle: Wayne Shorter: 502 Blues, Infant Eyes, and Speak No Evil. The re-incarnation of its 2005 predecessor, it represents many of the things I love about Syrah – that mysterious darkness, exotic and brooding characteristics, strength and smooth charm that only Syrah manages to combine into one package.